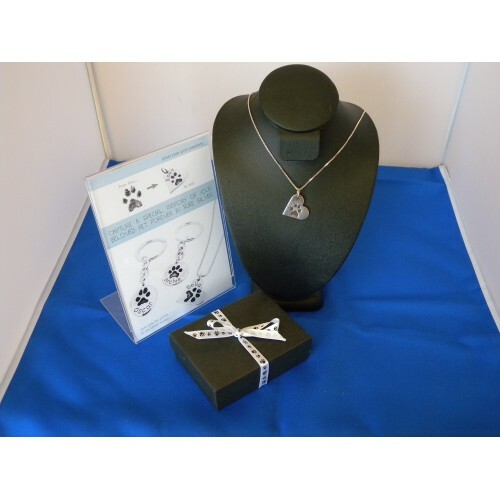 Your own pets paw print reproduced onto solid silver pendents and charms with a choice of chains availably to compliment each pendent. 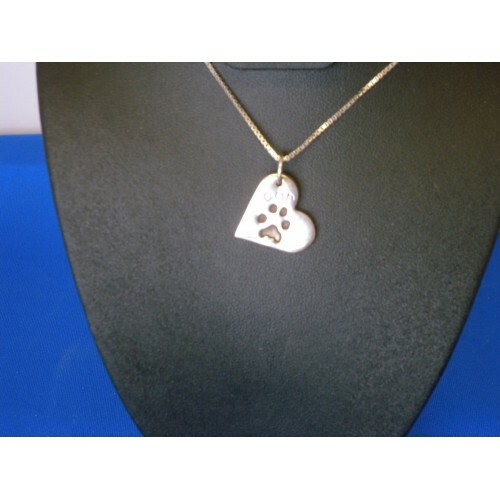 Personal 10 character message can be added to the reverse. 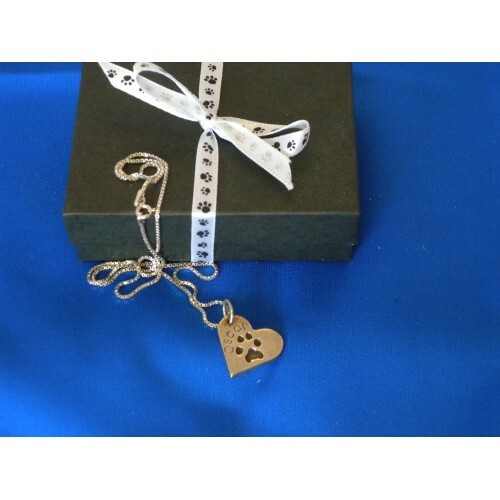 Solid silver chains available in 16" and 18" in either a box or snake design, suitable for pendents sold separately. 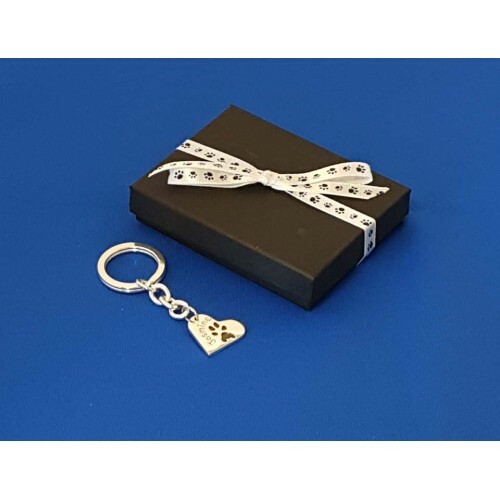 Your own pets paw print reproduced onto a solid silver keyring in a choice of shape, oval, heart or circle, a personal 13 character message can be added to the reverse side. 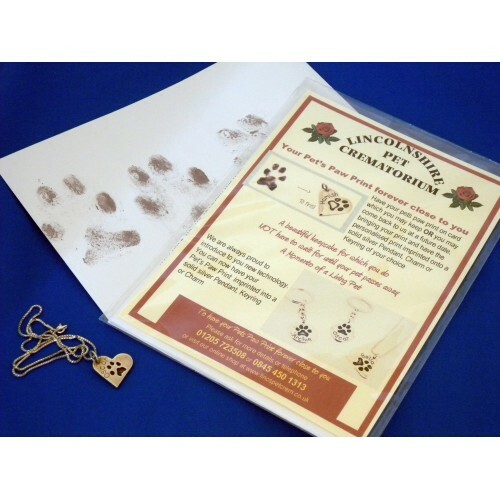 Have your pets paw print reproduced onto card ( ink free ) this can easily be done in the comfort of your own home while your pet is relaxing. If you wish you may keep your pets print on card or with our new technology this print can be reproduced onto a solid silver pendent, charm or keyring.